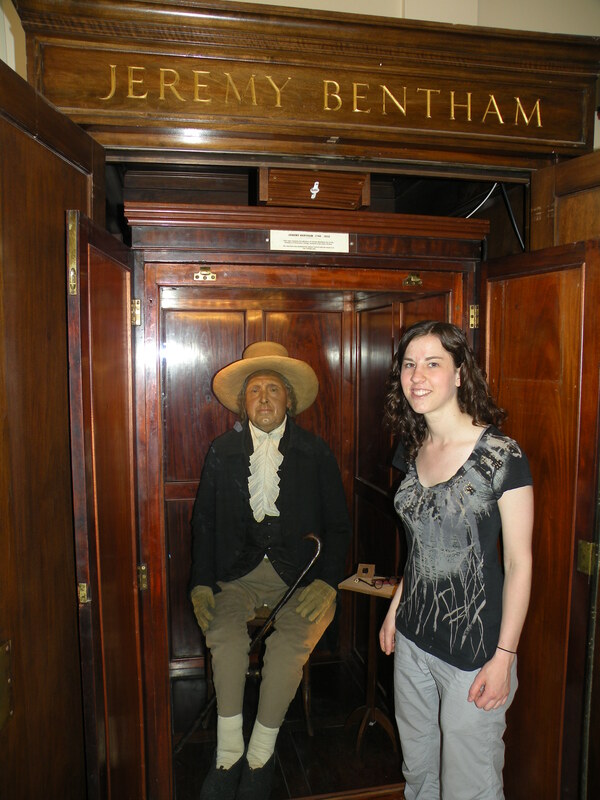 After learning about Jeremy Bentham in my History 200 class in first year university, I was inspired to visit his auto-icon (self-image) at the University College London. As the father of utilitarianism, Bentham argued: “Nature has placed mankind under the governance of two sovereign masters, pain and pleasure. It is for them alone to point out what we ought to do, as well as to determine what we shall do.” He promoted the “greatest happiness for the greatest number” and advocated in favour of anything that could be calculated as maximizing pleasure and minimizing pain. For more information on the Bentham Project at the University College London, click here. Thanks to Dr. Marco Navarro-Génie for introducing me to Bentham and for sharing the anecdotes about his narcissistic eccentricism that prompted my visit to the auto-icon.